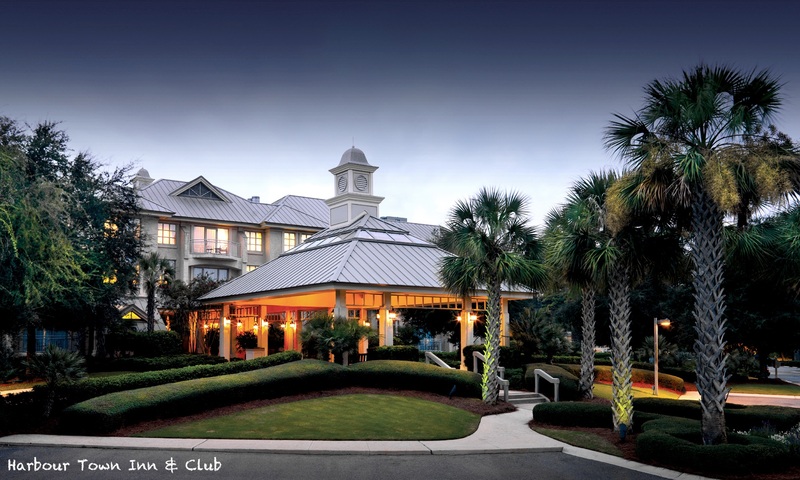 Harbour Town Inn is a boutique style hotel, situated overlooking the first hole of Harbour Town Golf Links and just a short walk from Harbour Town Marina. Guests are guaranteed a warm welcome and top class service at the Harbour Town Inn. It has always been one of our favourite places to stay. Harbour Town Inn is well known for it’s personal service and attention to detail. Guests can look forward to many services and amenities including personalized and attentive butler service. There is also 24-hour room service and an evening turndown service with gift-amenity. Complimentary shoe shine and trouser press service, with express service are also available upon request. 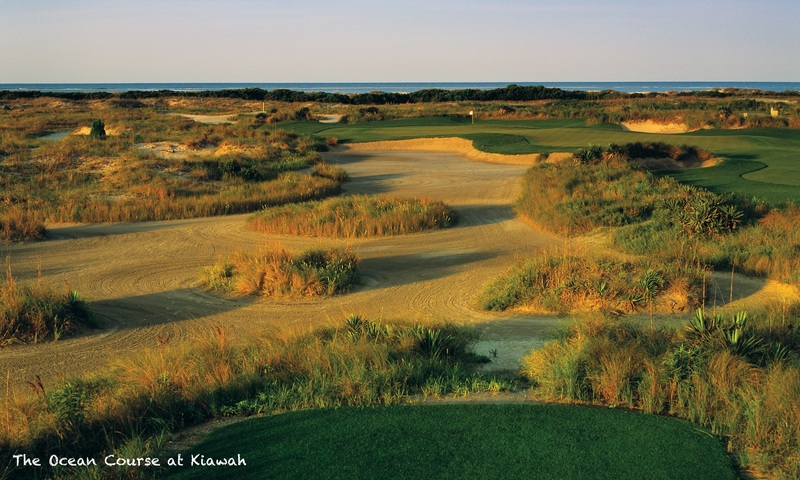 There is a complimentary trolley service from the Inn to numerous Sea Pines’ destinations including the Sea Pines Beach Club as well as valet parking. An evening bar service is available in the relaxing Tartan Room at Harbour Town Inn. A breakfast service is also available in the Tartan Room or on the Fountain Terrace. There is also the Player’s Library with oversized flat screen TV, fireplace, leather seating and a complimentary business centre for guests’ use. The Fitness centre offers state-of-the-art TechnoGym equipment, Universal station and free weights. Also chilled towels, bottled water and fresh fruit await. The luxurious boutique pool is a recent addition at The Inn at Harbour Town! Exclusively for guests of the inn it includes features such as: relaxing spa under a shade trellis; rim flow edge; travertine stone deck; poolside food and beverage service; and terrace with chaise lounge chairs and seating area overlooking Harbour Town Golf Links. The Inn at Harbour Town has 60 spacious rooms and a lavish suite, all showcasing luxurious furnishings and appointments. Each floor of the Inn is essentially a concierge level, where each and every guest is given attentive, personalized service. Each room has either one king or two queen beds, Italian linen and towels, luxurious custom-made mattress sets, glass-door mini bar, media armoire with I-Pod docking and media station, complimentary hard-wired and wireless computer access and a 37″ LG, LCD, flat panel television with over 100 digital and high-definition channels including HBO, dual-line cordless speaker phone and personalized voice-mail, laptop-sized in-room safe for valuables, deluxe evening turndown service with amenity, complimentary custom bottled water, a selection of top magazines, complimentary daily newspaper. Spa-like bathrooms with saturnia flooring and granite vanity, plus your choice of four different aromatherapy signatures of Molton Brown toiletries, replenished daily, spacious walk-in saturnia shower with rainfall shower head, generously-sized soaking tub with bath caddy, full-length mirror, plush robes and slippers, lighted makeup mirror, satin clothes hangers. The attention to detail doesn’t end there with superior soundproofing and door-sweeps for ensured quiet relaxation, blackout-lined window treatments they really have thought of everything, ensuring a level of comfort and service that you will rarely find elsewhere. There is no restaurant inside the Inn itself but there are plenty of options nearby. See our Sea Pines Resort page for information of dining options as well as resort facilities and amenities.